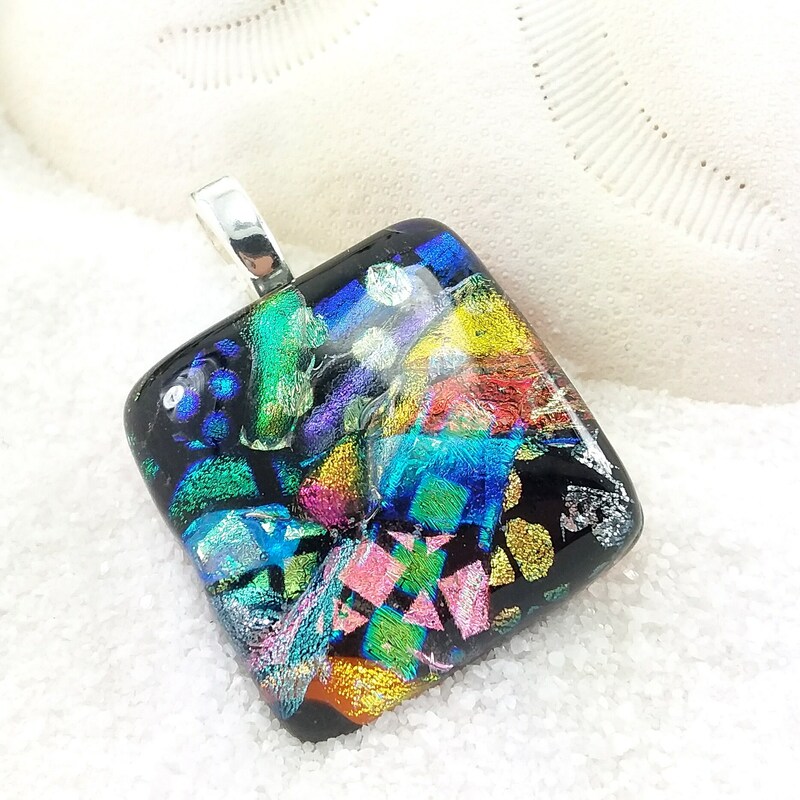 This unique piece has every color of the rainbow and then some! Blues, greens, violets, pinks, oranges, yellows, maybe even some silvers and other little surprises in there! 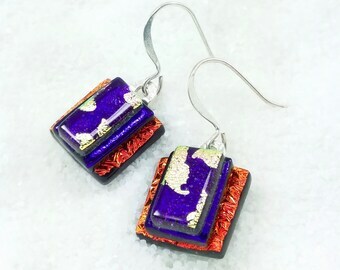 This piece is fully encased in crystal clear glass that really gives it depth and sparkle! This piece has a base of tangy orange glass. So very pretty with a silver plated bail that is ready for your chain or cord. (not included).